We call this variety our “show stopper” because the berries are so large. They can be twice the size of our other varietals! 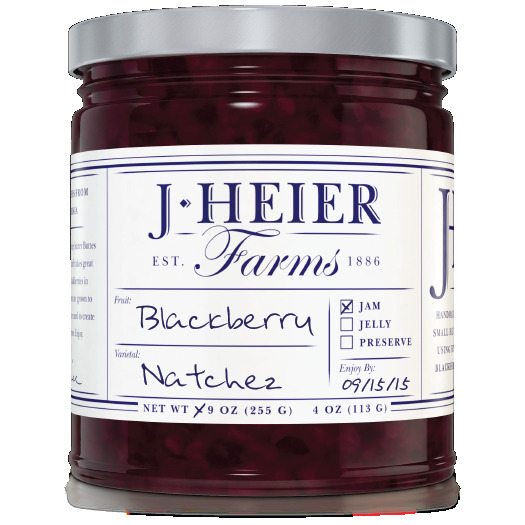 Since Natchez is both tasty and decorative, we recommend this berry eaten fresh for breakfast with oatmeal or cereal, or in desserts and cocktails! Natchez blackberries, pure cane sugar, and pure lemon juice.